We support the teaching of Religious Education by effectively communicating the spirit as well as the principles and practices of Buddhism to school students. Meeting an experienced Buddhist practitioner at the London Buddhist Centre in Bethnal Green or in your school can deepen knowledge and understanding and make Buddhism come alive. We also deliver sessions for trainee and qualified Religious Education teachers. We offer hosted visits to the London Buddhist Centre (51 Roman Road, Bethnal Green E2 0HU) as well as visiting schools within the Greater London area and beyond. We deliver engaging sessions and workshops whether at the LBC or in your classroom or hall. Content can be customised to suit the age of your pupils and your curriculum requirements. For teachers and student teachers we provide half or whole day training in key aspects of Buddhism alongside creative teaching ideas. 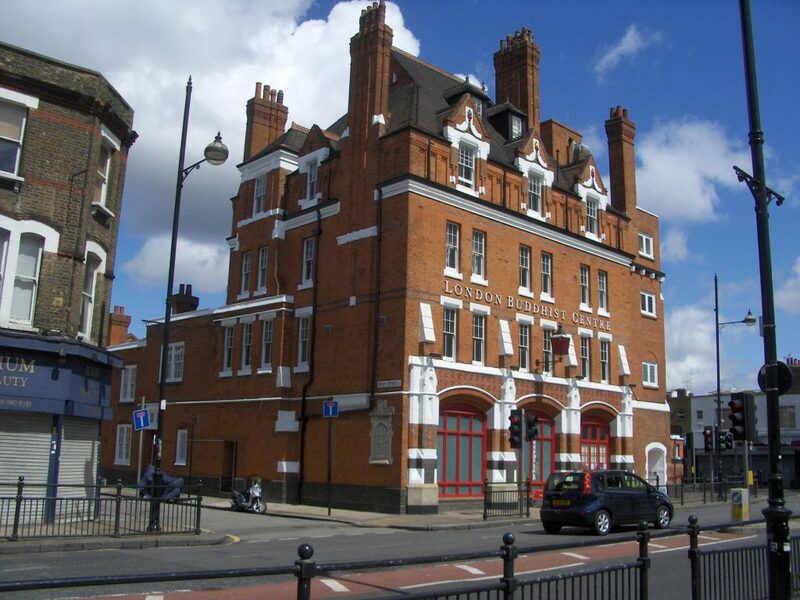 Visits to the London Buddhist Centre: The LBC has an interesting history (it’s a Grade 2 listed Victorian fire station) and a special atmosphere. It’s been a place of Buddhist practice and worship since 1978 and is often described as an oasis amidst its urban surroundings. Your school group will be welcomed by an experienced Buddhist who will introduce and explore various themes with them in an age appropriate way. We invite questions, discussion and reflection and may include stories of the Buddha. We also introduce a short, secular mindfulness meditation usually after some mindful movement or stretching. For GCSE and Sixth Form students we can explore specific teachings in more detail. 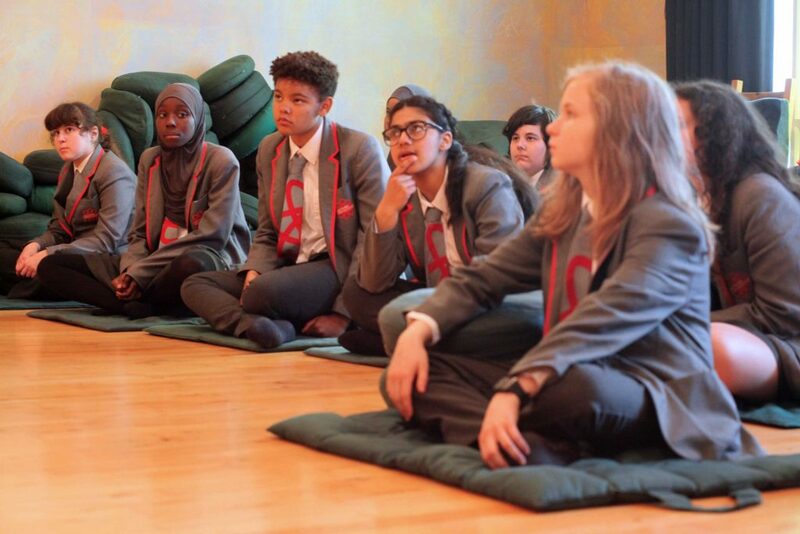 We are happy to come to schools and colleges across Greater London and further afield where possible. We offer sessions for the classroom and workshops and assemblies in the hall and adapt the format and material to suit the age group and your curriculum. As well as our experience, we can bring a portable table-top Buddhist shrine and images of the London Buddhist Centre to display on your interactive whiteboard. We invite questions, discussion and reflection and may include stories of the Buddha. We can also make the session a story based workshop. We offer workshops for student teachers, primary school teachers and Religious Education co-ordinators and secondary school teachers of Religious Education. These can be delivered in the beautiful surroundings of the London Buddhist Centre or in your school or Professional Development Centre. Using the format of the Three Jewels, Buddha, Dharma and Sangha we introduce and develop your understanding of the principles, practices and customs of Buddhism. The interactive workshop includes creative classroom teaching ideas.